Skypro Productions are professional aerial film and photography specialists who have embraced the latest unmanned aerial vehicle (UAV) technology to offer a “birds eye view” for a fraction of the cost of hiring a helicopter or using scaffolding. We are based in Devon. At Skypro we take our aerial filming work and responsibilities very seriously. Fully licensed and authorised by the Civil Aviation Authority, we carry out a survey of the area prior to filming, assessing for possible dangers and liaising with relevant personnel. This prior knowledge enable us to produce a bespoke piece of film work showcasing your subject to its best advantage. We are able to film throughout the UK. All pilots hold a BNUC-S Pilots licence, which is administered by EuroUSC, a specialist assessment and accreditation body recognised by Civil Aviation Authorities (CAA). We have been granted CAA approval for 'Permission To Conduct Aerial Work' for UK flight operations. Without such a document it is an offence to fly UAVs for commercial purposes. Just by the very nature of our industry and the fact that we are flying a craft in airspace, means we take Health & Safety very seriously. Prior to any flight we will gain as much information about the site from the client. We also have Civil Aviation Authority guidelines to abide to and so each film site will have to conform to those restrictions. Skypro are fully insured and carry Public liability insurance of two million pounds for UK flight operations. View all our online video’s here or subscribe to our Youtube channel. It has been proved that watching a video is twenty times more interesting than just looking at a picture, so realistically your potential clients should be twenty times more interested to see what you have to offer. This is why so many businesses are using video through media to promote themselves. By employing SkyPro you will be using the most up-to-date technology available, therefore giving you a competitive edge. 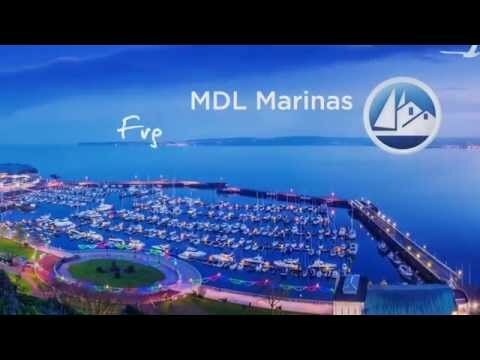 We produced this promotional film for MDL Marina Torquay Office to show the high standard that the marina offers to berth holders. Have you thought about creating videos to promote your business? Video can boost your search engine rankings and is an effective way to increase customer engagement. But how do you go about making a video? 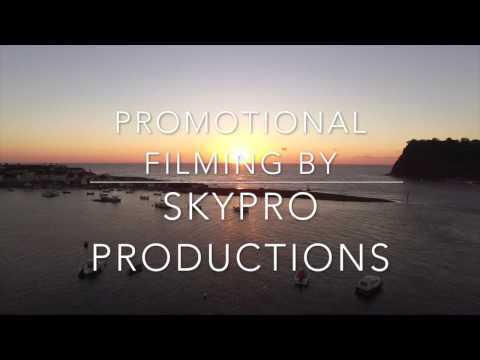 Skypro works with you to create a unique film to promote your business to put you ahead of your competition. YouTube accounts for around 18% of all downstream internet traffic . That’s impressive. But perhaps even more impressive is YouTube’s status as the world’s second biggest internet search engine. It receives more searches than Bing, Yahoo, Ask and other search engines. Video has become a hugely powerful medium. Dig past the plethora of cute kittens, TV clips and skateboard accidents, and you'll find businesses everywhere are incorporating video into their marketing strategies. De Savary Hotels Delighted with results of working with Alan from Skypro and feel that the imagery produced shows the hotels in the best light giving the customer lots of information to make a decision to come and stay, so much so we asked Alan to produce the 360 images for all hotels. Sunseeker Torquay Ltd first approached Skypro last year to assist with some aerial photography. Having not ventured into this world before we were slightly apprehensive of the results however we were blown away! The Sky Pro team gave us confidence with their safety first mentality and the results from the filming were first class. The friendly and personal side of the editing process was superb and we look forward to working on our next film! We’ve worked with Alan and the Skypro team on a couple of occasions and have been delighted with his work. Nothing is ever to much trouble and he is always very accommodating even with challenging requests. We first used Skypro to produce a promotional film for our Marina to help boost our profile, and we were very impressed with the standard of the finished film. They then introduced us to the 360 work they offer and had a tour built for our Marina here in Torquay. The Tour was seen by our Marketing Director who then was so impressed that a contract was set up with Skypro to produce virtual tours for all our 18 MDL marinas here in the uk. The tours have helped bring in a lot of attention to our marinas which is a great way to attract more customers to our marinas. Thank you Skypro team. Making your business stand out from the crowd. We offer a comprehensive service to produce a film that you can use on your website to market and showcase the full potential of your company. This can include not only your business itself but also aerial footage of your premises, product placement and even feature your members of staff. Showcase your hotel on your website with a short professional film which captivates the best of what you have to offer. Hook potential clients by showing your property’s finest features showcased to their best advantage. Be ahead of the game and increase potential bookings by showing a beautiful film professionally edited to music. We can film or photograph your development on a regular basis to suit your requirements. This gives you a documented record which can be used for future analysis, marketing or simply to monitor the running of the site. Filming a construction site regularly can possibly save time and money in the long run as problems can be detected and effectively dealt with at source as and when they occur. 360 virtual tours will create visitor satisfaction, with the bonus of your site being talked about. The 360 virtual tours are compatible with VR Headsets, easily available on Ebay at very low prices. Why not buy some and give them to your leading clients in your future marketing. Our enquiry form. We are a Devon based aerial video service. Using drones we are able to produce high quality aerial video for your events, business, insurance work and websites.